When investing in a new cell phone, there can be many advantages to choosing one with an OLED screen. Fortunately there is also a good range of such devices to choose from. Here’s just a small selection which you might want to consider. This handset is possibly one of the most popular OLED models around. It’s not a small phone, although it is lightweight and relatively slim, and the large OLED screen is useful for those who struggle with smaller devices. This phone also runs on 4G, with a 1Ghz processor. One of the newer handsets to feature OLED technology is the Nokia X7. Part of the Symbian smart-phone range, this has a 4 inch active-matrix OLED screen, and is powered by a 680MHz processor. It is also reported to offer exceptional internet connectivity. 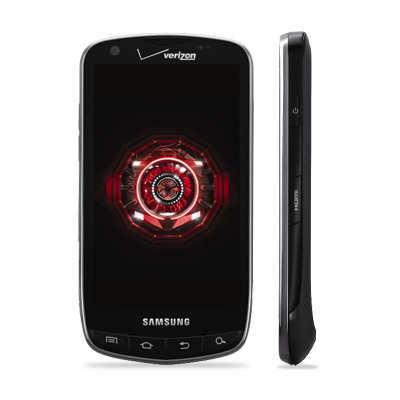 Another popular OLED choice from Samsung is undoubtedly the Samsung Galaxy S II. This phone has a 4.3 inch Super AMOLED plus display, although it is just 8.49mm thick at its thinnest point. For fast gaming and app capabilities, as well as an 8 mega pixel camera, this handset is ideal. Although there are many more handsets available which feature OLED screens, these are certainly some of the most comprehensive in the part. These handsets, and many more, are available from a range of providers worldwide, such as T-Mobile, Verizon Wireless and O2. Combining OLED features with other types of mobile technology allows for access to some of the most advanced features currently available. In addition to this, an OLED display can help to greatly improve battery life, as well as screen brightness and function response time. It is these features which has made the use of OLED’s extremely popular within a number of technological devices, and mobile phones can certainly benefit in much the same way. This is certainly something which should be considered by anyone planning to invest in a new handset.